Sun 30th May. 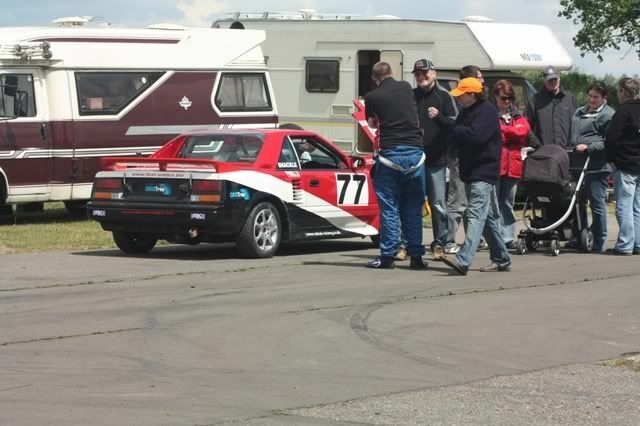 Snetterton, MR2 racing series / BBQ. That's a bit early for you! Just spoken to her who has to be obayed and she happy for a 8.30 start! If thats ok with you be round at the St Neots TVR garage then! > That's a bit early for you! Not me Andy - I've had training by living in Upwell and driving to Hitchin at 6.30 am in the dead of Winter. Suprised no one else has beaten me too it, so firstly a huge well done to Chris on his results on Sunday. 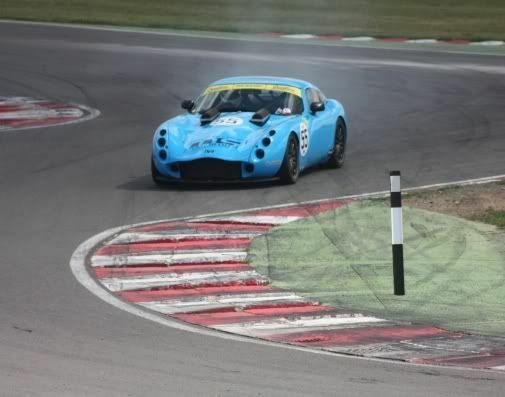 A really good quali saw him start 8th on a 39 car grid for race one with a 6th place finish. 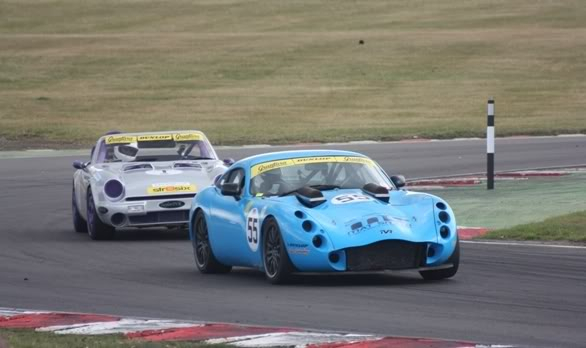 Second race started 6th and a 5th place finish. Hugely exciting racing right though the field in both races. Good to see a lot of us in attendance despite the weather, I understand that Andy and Rose were their but elsewhere on the circuit. A couple of photos from our reporter in the pits (Nigel) ! Yes, well done Chris. Probably the best racing of the day. Kevan Gore had an expensive day again with his newly built Tuscan, again needing the attention of the bodyshop . I think he must have had the red mist in the second race though, as he was lapping 2 seconds a lap faster that he was in the first race. All that Gaffer tape must have made it more areodynamic. Will send you a couple of pics of his tuscan Ian, if you could upload them. Maybe that's why the Blue Tuscan ended up going down the slip road instead of staying on the track. Saw my hat. A couple more pictures from Nigel, this time of Kevan Gore's lovely Tuscan (before the damage). Just received the TVR mag Sprint, and there is a picture of Chris`s MR2 on page 51, going through Russell. Subject: Re: Sun 30th May. 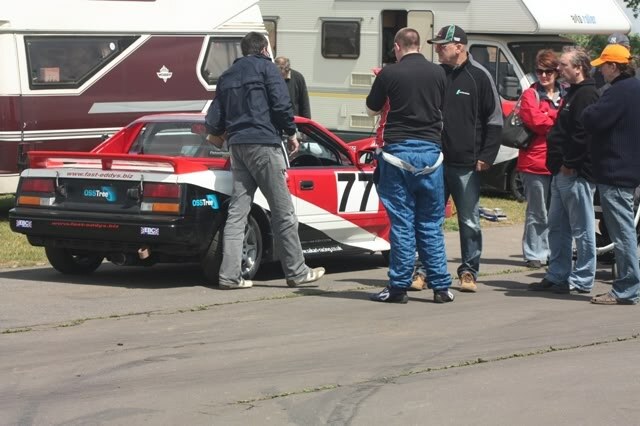 Snetterton, MR2 racing series / BBQ.